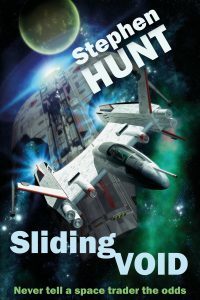 Scifi book ‘Sliding Void’ #1 in Amazon charts! 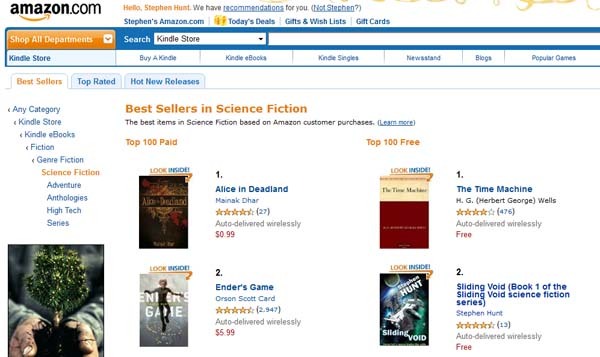 Yes, some good news – my science fiction novella ‘Sliding Void’ is currently number one in the UK charts for science fiction and number two in the USA Amazon charts (sandwiched by HG Wells – now there’s an honour). 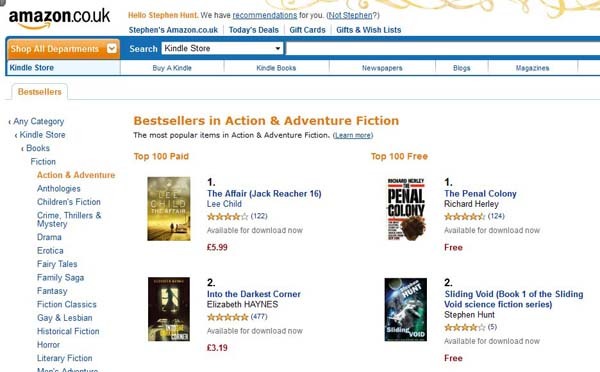 It’s at number two in the general adventure charts, just under Lee Child (in the States, I’m sharing with The Girl Who Kicked the Hornet’s Nest by Stieg Larsson). It’s also number one in Germany, France and Spain. Thanks to the many people e-mailing me with how much you’re loving the book.